It's very rare you find an artist who has the ability to navigate through various styles and genres of music without ever truly losing the inner "soul" that fuels the fire within. Ladies and gentlemen, Lamone is one of those artist. This debut CD from Lamone, which is perfectly entitled "Eclectically Speaking", is just that. An eclectic mesh of R&B, Soul, Pop, Rock, Dance, Urban, and Smooth Jazz all on one project which amazingly, works very well. Never a follower, always a leader, this "SOULJA" of music and art blazes his own trail. 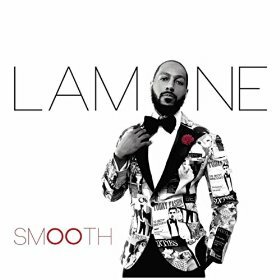 Lamone made his introduction to the music scene as a guest vocalist for Smooth Jazz saxaphonist, Najee, on his 2005 CD entitiled "My Point of View" with the beautifully sung "Falling In Love With You". His performance and vocal range shows how far he has moved across the musical spectrum. From his agile tenor vocals to his falsetto-laced riffs, he produces a series of brilliant sounds that are beautifully complemented by the music you hear. From 2005 to 2007 Lamone has traveled abroad with Smooth Jazz Pioneer Najee, as his guest vocalist, wowing audiences every step of the way.